As promised, more new books this week! I’m finishing up on some sewn boards bindings I started in the summer months and have been itching to see in the flesh ever since the idea of them came to me. 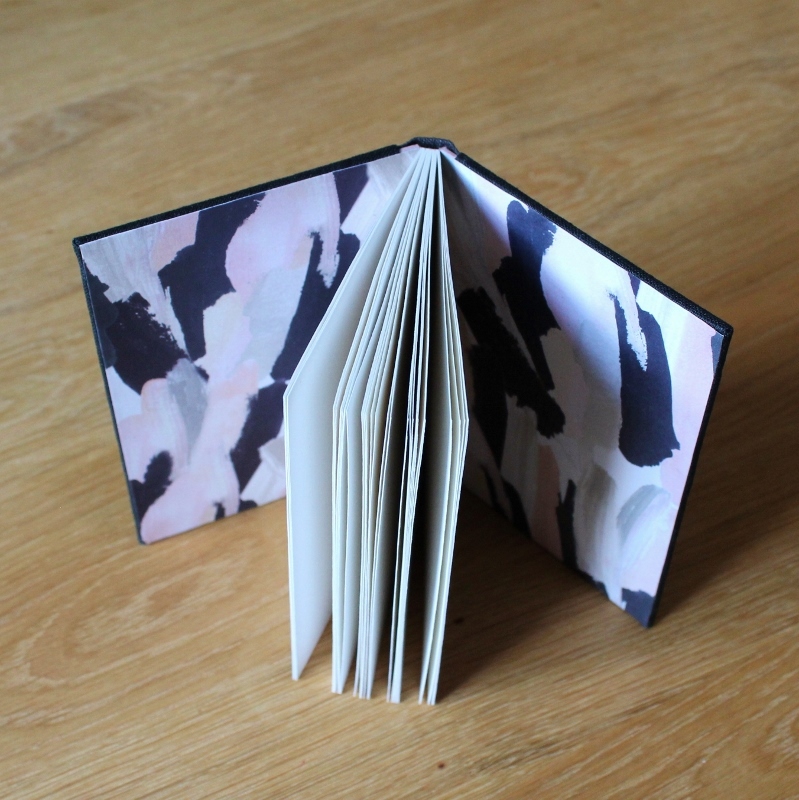 The first lot is this trio of small notebooks with beautiful print endpapers. You can now find them in the shop. Picking matching endpapers and linen fabric is a particularly enjoyable part of the bookbinding process for me. Once I know what materials I’m using, I can already see the finished book in my mind’s eye. After that it’s just about recreating that vision with my hands, and I know what I need to do in order to make it happen. As soon as I have that vision, the book becomes an individual instead of simply a thing to tick off the to-do list. This month the #areyoubookenough bookbinding community challenge has the theme ‘Found’ and I’m actually struggling a bit. Found items and random collections play such a big part in my everyday life and in my own art, it’s difficult to choose where to start! I have picked some items that could form the core of my artists’ book, but just as well I could go down an entirely different path. Structures and practicalities are all still wholly undetermined, and while I do enjoy this moment where everything is in the air and there’s no rush, soon I’ll be running out of time like I always am. The end of the month will be dedicated to Helsinki Book Fair business as a poet, so I really should try and finish my project well on time this time around! Before it’s time to focus on ‘Found’, I’m going to finish some more books that have been waiting ever so patiently for my return from poetry.